Dr. James F. Thornton, M.D., F.A.C.S., is a Professor in the Department of Plastic Surgery at the University of Texas Southwestern Medical Center at Dallas. Dr. Thornton received his Medical Degree from the University of Texas Southwestern Medical School at Dallas, where he also completed a five-year residency in General Surgery. His practice is concentrated on post Mohs reconstruction surgery. He has a particular interest and a broad depth of experience in post Mohs reconstruction and is able to offer the most current reconstruction options available. Dr. Thornton is Board certified by the American Board of Plastic Surgery and is a Fellow of the American College of Surgeons (FACS). He is an active Member of the Texas Medical Association; The Texas Society of Plastic Surgeons, and The American Society of Plastic and Reconstructive Surgeons (ASPRS). 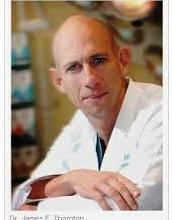 He lectures locally and Nationally about plastic and reconstructive surgery and is listed in Redbook Book Magazine. He received awards for “Top Doctor” 2001 (Redbook’s top doctors in breast reconstruction) and Guide to America’s Top Surgeons Award “America’s Top Surgeons” 2006. Dr. Thornton is a Captain in the United States Navy Reserve and serves as a training wing flight surgeon. Dr .Olga Dana Simionescu is currently working as Head of the Clinic Department of Dermatology, Colentina Hospital, Bucharest (Romania); as University Professor of Dermatology and Venereology, “Carol Davila” University of Medicine and Pharmacy. She obtained Ph.D. in 1999 in Dermatology and is also a prestigious Member of CNATDCU, Medical Committee, Ministry of Education. Dr. Olga Dana is an inspiration and role model for upcoming researchers, as she serving as coordinator for Ph.D. students in Dermatology. She is also Member of various International Societies some of them are European Academy of Dermatology and Venereology; International Society of Dermoscopy; American Academy of Dermatology; International Society of Dermoscopy, and International Society of Teledermatology. Dr. Olga Dana is well recognized for her literary achievements and is a recipient of many National and International awards. She awarded for “Iuliu Hatieganu” Prize for Medical Sciences, the most important scientific distinction in Romania (Atlas of Dermatology); Levaditti Prize of Academy of Medical, the best medical book; Order of Physicians for the best medical specialty book and Order of Physicians for the best medical specialty book. She is the senior author for Dictionary of Dermatology; first author of Atlas of Dermatology (2001), and co-author of Dictionary of Immunology (2003). Dr. Olga Dana has been running a highly reputed private practice. She specialized in fields like Laser-Surgery, Skin Surgery, and Dermatoscopy. 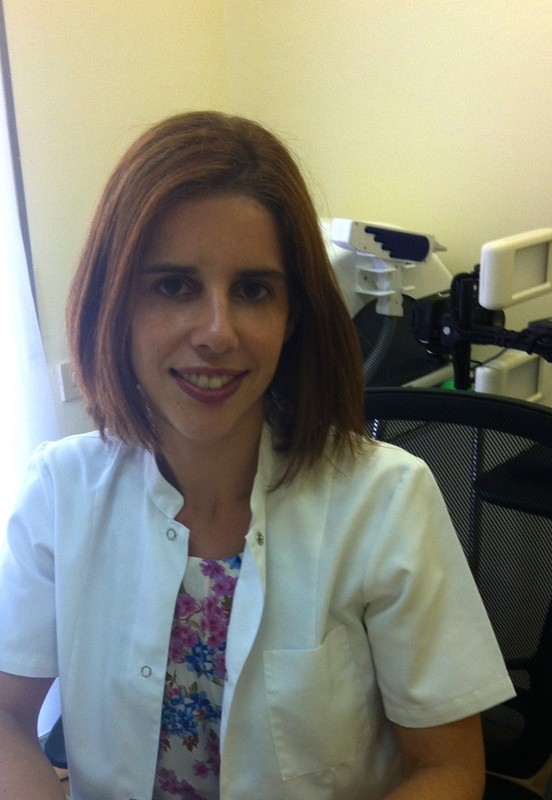 Dr. Rubina Alves is Dermatologist and Venereologist at Madeira, Portugal. She received education in Medicine from the Faculty of Medicine of University of Porto (FMUP), Portugal. The Residency of Dermatology and Venereology was made in Portugal (Hospital Central Funchal) and two clinical rotations were made in Spain: Service of Dermatology, Hospital Ramon y Cajal, Madrid and Other is Service of Dermatology (Unity of Melanoma), Hospital Clinic, Barcelona. In addition to this speciality, she has a Post-graduation of “Anti-Aging Medicine” and a Post graduation of “Clinic and Cosmetic Surgery”, by Autonomous University of Barcelona (UAB), Spain. Furthermore, Dr. Rubina Alves is involved in research of Trichology field. She has completed doctorate in Universidad Internacional of Catalunya, Barcelona with the thesis of of “A Prospective Double Blind, Placebo Controlled Study to Assess the Efficacy of Platelet-Rich Plasma on the Treatment of Androgenetic Alopecia She is a Member of several International Dermatology Societies including Ordem 2 Metges; Sociedade Portuguesa de Dermatologia i Venereologia; Acadèmia Espanyola de Dermatologia i Venereologia; Societat Espanyola de Medicina i Cirurgia Cosmètica; Societat dermatoscòpia Internacional i Col·legi Iberolatinoamericano de Dermatologia. She is also Reviewer for Archives of Dermatology; Journal of the American Academy of Dermatology; Journal Dermatology Case Reports; International Journal of Dermatology, and Medicina Cutánea Iberolatino Americana. Dr.Massimo Milaniis currently the Director and Advisor of Medical Department at the Italian Affiliate of a Multinational Company leader in Dermatology treatments (ISDIN) and acting In charge of Medical Department of ALK Italy. He worked as a Chief, Scientific Support Division (Mktg) for Novartis and also served as Medical Director, Mipharm S.P.A. He is an expert in planning, monitoring clinical trials (Study design, statistical evaluation etc) and has specific scientific background in Dermatology, Allergology and Cardiology. He Graduated in Medicine with Honors from University of Milan (Italy) in 1986. Later on he was a Post Graduate in Hematology, University of Milan 1989. He did his Masters in Immunology and Allergy, University of Pavia (Italy). He is an author and co-author of several Medline-indexed scientific articles (Lancet, British Journal of Dermatology, JEADV, CMRO, etc). Dr. Yamamoto Toshiyuki currently working as Professor and Chairman in Fukushima Medical University, Fukushima city, Japan. 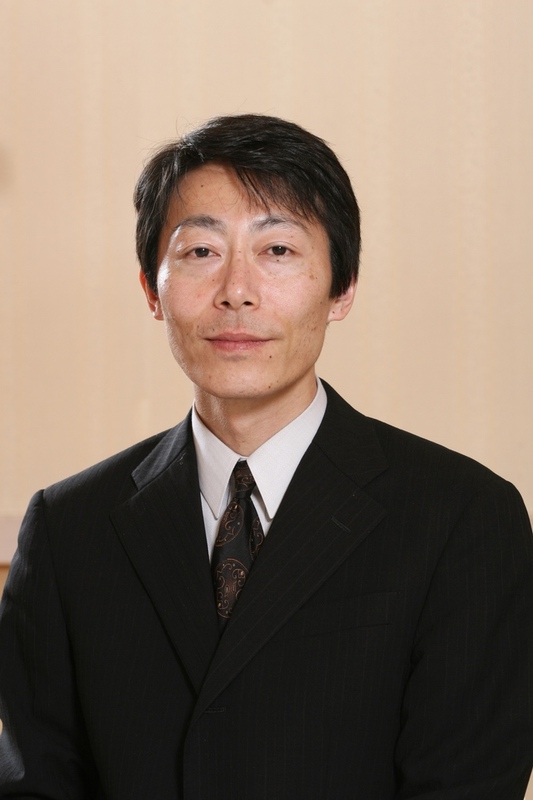 He received MD in 1988 and Ph.D. in Dermatology in 2000 from Tokyo Medical and Dental University, Tokyo, Japan. He is a Member of Japanese Dermatological Association; Japanese Society for Investigative Dermatology; German-Japanese Society for Dermatology and many other International Associations. He is serving as an Editorial Member of several Journals like Journal of Dermatology; Journal of Dermatological Science, and The Open Allergy Journal. He is an author for over 92 publications. 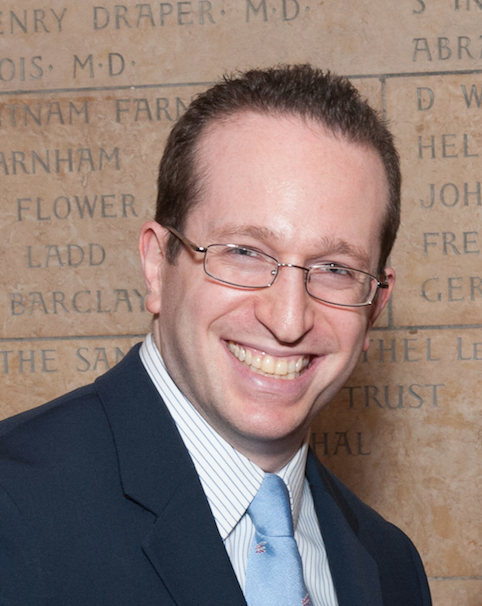 Dr. Adam Friedman, MD is currently Director of Dermatologic Research at the Unified Division of Dermatology, Albert Einstein College of Medicine, Yeshiva University, New York, USA. He is also Assistant Professor for Department of Physiology and Biophysics and Department of Medicine at Albert Einstein College of Medicine, Yeshiva University, New York, USA. He is President of the Dermatology Section of the New York Academy of Medicine, Vice President of the Nanodermatology Society and co-founder of the newly formed Einstein Emerging Leaders, a group of young professionals who host events through which they can introduce Einstein to like-minded young professionals and who have an interest in making the world a better place through the support of healthcare and research. Dr. Friedman is currently investigating novel Nanotechnologies that allow for controlled and sustained delivery of a wide spectrum of physiologically and medicinally relevant molecules, with an emphasis on treating Infectious Diseases, accelerating Wound Healing, Immune Modulation, and correcting Vascular Dysfunction. He received awards from multiple organizations such as the American Academy of Dermatology; American Society for Dermatologic Surgery; Dermatology Foundation; Journal of Drugs in Dermatology, and the La Roche Posay North American Foundation. 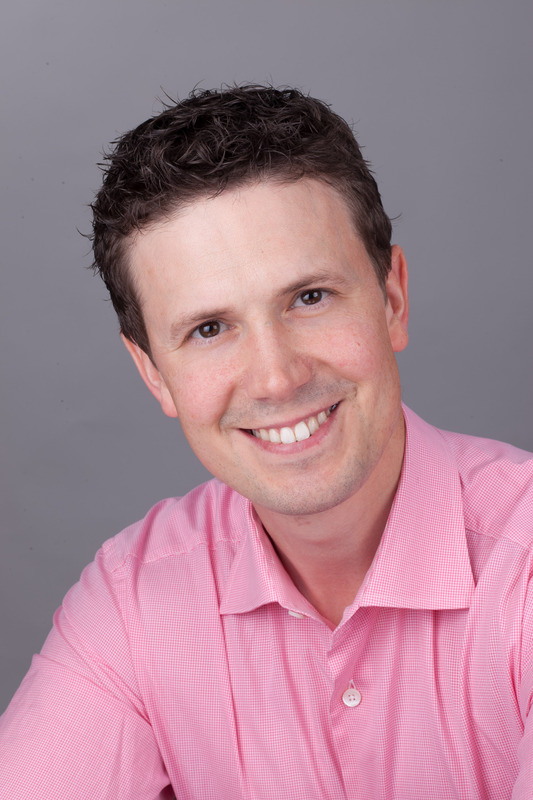 Recently, he was featured on the online Forums Dermtube, DermMatters, Nanotechnology Thought Leaders, and Dermquest. Dr. Friedman serves as the Dermatology Expert for healthguru.com, publishes a column on Everyday healthy entitled The Skin You're In and in line with his research interests. He holds several Patents derived from these investigations, and has published over 90 papers/chapters and two textbooks on both his research as well as a variety of clinical areas in Dermatology with an emphasis on emerging medical therapies. Dr. Friedman has appeared on television news programs such as Good Morning America, and has been quoted in numerous leading publications, including WebMD, In Style, Reuters, Good Housekeeping, and Women’s Day. Dr. Helena Vidaurri De la Cruz is currently Pediatric Dermatologist at Specialty Hospital of the City of Mexico "Dr. Belisario Dominguez", Mexico. 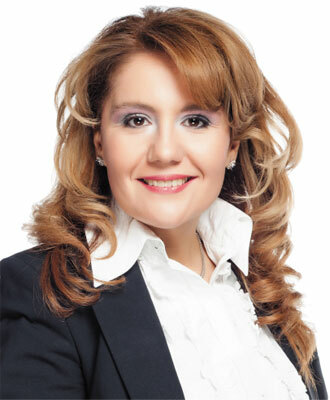 She is also President in Mexican College of Pediatric Dermatology Mexico City Area. She worked as University Professor for Faculty of Medicine at National Autonomous University of Mexico, and Medical Sciences Researcher, External Research Commission of the National Institutes of Health, Health Ministry of Mexico. She is a Member of Mexican Association of Pediatric Dermatology; Mexican Association of Pediatric Dermatology, and Latin American Society of Pediatric Dermatology. She has numerous publications in National and International Journals. She also owns a private practice. 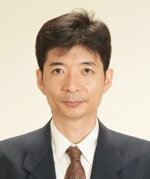 Dr. Naoki Oiso currently working as Associate Professor at Departments of Dermatology and Patient Safety & Management, Kinki University Faculty of Medicine, Osaka-Sayama, Osaka. He was a Post-doctoral fellow at Human Medical Genetics Program, University of Colorado Health Sciences Center, USA in 2001. He is a Member of “The American Society of Human Genetics”. He was a Resident at Department of Dermatology, Osaka City University School of Medicine, Osaka in 1994. Later on he graduated from Osaka City University Graduate School of Medicine, Osaka, Japan in 1997. He served as an Assistant Professor at Department of Dermatology, Kinki University School of Medicine, Osaka-Sayama, Osaka, Japan in 2005. Dr. Donovan is currently Assistant Professor at the University of Toronto and is a US and Canadian Board-Certified Dermatologist specializing exclusively in Hair Transplantation and Hair Loss. He is certified by the American Board of Dermatology and the Royal College of Physicians and Surgeons of Canada. His Post-Graduate clinical training in Dermatology and Ph.D. studies in Molecular Biology were conducted at the University of Toronto. He is also Member for various societies including North American Hair Research Society; International Society for Hair Restoration Surgery; Canadian Society for Dermatologic Surgery; American Society for Dermatologic Surgery; Canadian Dermatology Association; American Academy of Dermatology and Skin of Color Society. He is the recipient of several National and International awards for his research and leadership, including a research grant from the International Society of Hair Restoration Surgery. Dr. Donovan currently serving as a medical advisor to several hair loss organizations, including the Canadian Alopecia Areata Foundation; The Canadian Association of Scarring Alopecias, and the Canadian Hair Loss Foundation. He is on the Editorial Board of several medical and scientific journals, including the International Journal of Clinical Dermatology & Research, the Journal of Clinical and Investigative Dermatology and the Journal of Dermatology & Skin Biology. His views and opinions on a variety of topics related to Hair growth and Hair loss are frequently cited in the media. Dr. Hussein Saber Ibrahim Abulhassan is currently Head of Plastic, Reconstructive and Burn Unit, Faculty of Medicine, Alexandria University, Egypt. He obtained Doctoral Degree in Plastic Surgery in 1988. He was appointed as a teacher of Plastic Surgery and promoted to Professor, subsequently to Chair of the Plastic Surgery and then to Chair of Department of Surgery in 2012-2014. He is Member of various societies for Obesity, Derma, and Nutrition including Egyptian Society of Plastic & Reconstructive Surgery; Treasurer of Egyptian Society of Plastic & Reconstructive Surgery; Egyptian Society of Surgeons; International Society of Aesthetic Surgery; International Society of Plastic & Reconstructive Surgery; Egyptian Society of Obesity & Endocrine Diseases; Alexandria Endoscopy Association; Licensed Consultant of Plastic Surgery, Jeddah, KSA, and Licensed Consultant of Plastic Surgery, Doha, Qatar. He is a Member of the council for Professorship promotion of Egyptian universities. Scientific contributions include 260 publications, 3 books (Georgiade and Georgiade text in plastic surgery since 1986). Dr. Hsuan-Hsiang Chen is currently Adjunt Dermatologist at Department of Dermatology, National Taiwan University Hospital. He is also Chief at Department of Dermatology, Jing-Mei Hospital, Taipei City, Taiwan, and Dermatologist at Holy Beauty Skin Clinic, and Beauty101 Skin Clinic, Taipei City, Taiwan. He obtained Doctoral of Medicine (M.D) from the National Taiwan University in Taipei, Taiwan. He received Best Paper Award from Skin Education Research and Development Foundation; From National Taiwan University - The Phi Tau Phi Scholastic Honor Society; Scholarship of Prof. Tsungming Tu; Best Intern, and Excellent Youth awards. Dr. Chen has also published many scientific papers on Contact Dermatitis, Psoriasis, Infectious Diseases, Lymphoma, and Nail Disorders. Dr. Chen has been involved in both Dermatological and Cosmetic treatment procedures for the 10 years. His expertise is in Skin Pigmentation, Acne correction, Rosacea, Photo-aging, Anti-Aging and Laser Treatments. He is specially experienced and skillful in performing Botox, Restylane injection and other treatments for Acne Scars, Wrinkles Correction and Facial Contouring and Enhancement. Dr. Victor Gabriel Clatici is a currently Dermatologist and Venereologist at University of Medicine and Pharmacy "Carol Davila", Department of Dermatology University Emergency Hospital Bucharest ELIAS (Romania), with extensive experience (nearly 20 years) in diagnosis and treatment of Skin Diseases. 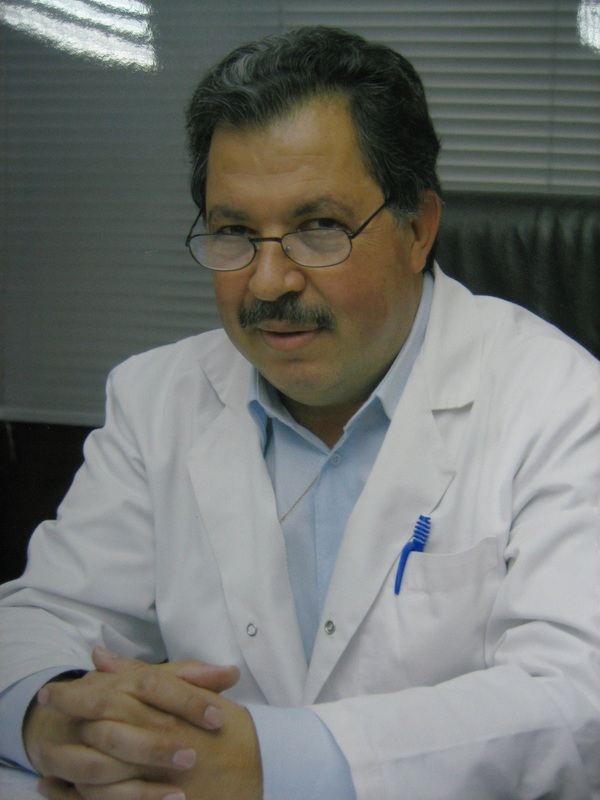 He obtained Ph.D. in pharmacy from Carol Davila University of Medicine and Pharmacy in 2004. He was the first person to write in Romanian language about quality of life and psoriasis (2001) and about Vaccines for Sexually Transmitted Infections. He was both, Principal Investigator and National Coordinator for clinical studies at Multi center National and International studies. Dr. Victor Gabriel Clatici appeared in Dermatology Journals, glossy Magazines and in TV productions about important issues about health (Skin Cancer, Aging, Acne, Nutrition in Dermatology, Sexually Transmitted Infections, Laser Interventions, Dermatoscopy and Complexion Analysis). He has presented over 100 papers covering various topics at both National and International Congresses, published over 20 articles in Dermatology Journals and was speaker for multinational companies: GSK, MSD, Sanofi, Intendis Bayer Health Care, Fidia, Procter and Gamble, Avene. Dr. Marco van Coevorden is currently Head of the Dermatology Department and Head of the Dermatology Residency program at Apeldoorn Area, Netherlands. He obtained Ph.D. in Dermatology from University of Groningen, Netherlands. He did an elective in Tropical Dermatology at Hospital Santa Izabel e Santa Casa de Misericórdia (Salvador da Bahía, Brazil). Furthermore, two of his clinical rotations were done in London, U.K: Dermatology at St. John’s Institute of Dermatology, and Venereology at St. Thomas’ Hospital. Furthermore, he worked at the STD/AIDS Department of the municipal health service in Groningen. 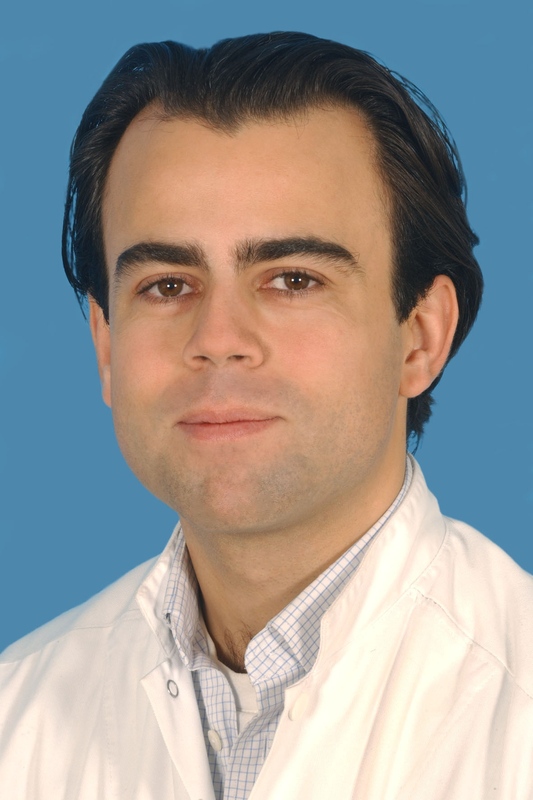 As of 1 January 2006 he is a registered Dermatologist and works at the Gelre Hospital in Apeldoorn. There he founded the Centre for Phlebology Apeldoorn and Gelre Skin Clinic for Cosmetic Laser Therapy. Dr. Glynis Ablon is currently Assistant Clinical Professor at Ablon Skin Institute, University of California Los Angles (UCLA), Manhattan Beach, California (USA) and Board Certified Dermatologist and Cosmetic Surgeon, who completed training at Baylor School of Medicine in Houston, Texas. She is active in Clinical Research and the first published author in the United States in Mesotherapy. She is Member for various societies including Skin Cancer Foundation; American Society of Dermatologic Surgery; Pacific Dermatologic Society; American Assoc. for Sexually Transmitted Dz; STD Task Force; Los Angeles Metropolitan Dermatologic Society; Academy of Lipo-Suction Surgery; American Academy of Dermatology; American Society for Laser Medicine and Surgery; Women's Dermatology Society, and Medical Director Skin Cancer Screening. She was awarded with IMCAS Research Award for Botulinum Toxin Study Voted Top Dermatologists in California; Kane-King-Dodek Honor Society; Walter F. Rosenberg Award in Dermatology, and Huron W. Lawson Award in Obstetrics and Gynecology. She gave more than 65 TV shows/presentations in USA. Dr. Emadeldin Elgamal is currently serving as a Professor of Dermatology, Venereology and Andrology at Damietta Faculty of Medicine, Al-Azhar University, Damietta, Egypt. He did MBBch, then Master’s of Dermatology, Venereology andAndrology at Alexandria Faculty of Medicine. He Obtained Doctoral Degree in Dermatology, Venereology and Andrology at Tanta Faculty of Medicine 1994. He is a supervisor to many students. He is an Board Member of many Societies some of them are Egyptian Society for Dermatology & Venereology; Alexandria Society of Dermatology and Venereology; Pan Arab League of Dermatologists; American Academy of Dermatology; International Society for Dermatology; European Academy of Dermatology & Venereology; Moroccan Society for Dermatologic Surgery & Esthetic Medicine; Genodermatoses and Mediterranean Project, and Egyptian Psoriasis Network. Dr. Elgamal attended several National and International Conferences and presented many papers on diverse topics related to Dermatology. He has numerous Publications in peer-reviewed journals. Dr. Ayyaz Mahmood Shah currently Clinical and Cosmetic Dermatologist in Orlando, Florida at Mid Florida Dermatology Associates, USA. He is Dual Boarded in the specialty of Family Medicine and Dermatology. In addition, he is a Diplomate of The American Board of Laser Surgery. 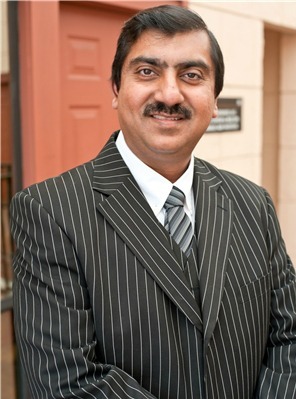 Dr. Ayyaz Shah has received training in the specialties of Family Medicine and Dermatology. He also has formed a Dermatology Training center in Kissimmee, Florida where Clinical and Cosmetic Dermatology courses as well as workshops will be held for physicians and medical providers. Dr. Shah is honored as one of the top physicians by The Leading Physicians of the World and the International Association of Health Care Professionals, IAHCP, for his exceptional successes in the Dermatology community. Nearly 15 years in practice, he has continued to demonstrate the passion, dedication, and enthusiasm for quality patient care necessary to be considered a Top Physician in his field. He is founder of Shah Dermatology Wins Prestigious Award. Dr. Ali Khalifeh is Current President and Chief Director of the Canadian Association of Cosmetic Dermatology and Surgery and Teaching Professor of Medical Aesthetics Technology Program, promoted by CAMACS, and the Specialty Trainer in the field of Aesthetic Medicine. Dr. Ali completed the Residency program of Dermatology and Venereology in Medical Scientific center of Dermatology and STDs at Yerevan State Medical University, Armenia, Europe. He’s been appointed as the Exclusive Agent of the Canadian Association of Medical Spas and Aesthetic Surgeons in eastern Canadian provinces (Ontario, Quebec and Nova Scotia) and the representative of IRI Medical Council in Canada. He is Board-Certified Dermatologist, Board-Certified and Licensed Holistic Health Practitioner, specialized in Cosmetic Dermatology, Laser and Aesthetic Medicine, he has an extensive experience not only in Dermatologic Surgery but also in Minimally or Non-invasive Aesthetic Procedures. He is also Member of several National and International Laser, Dermatology and Surgery Boards and Societies. He Served as Executive Director for several National and International Congresses and Seminars. He is also the founder and Medical Director of Sina Dermatology and Cosmetic Laser Clinic in an exotic Middle East country environment. Dr. Dwight E. Zambrano is currently Plastic and Reconstructive Surgeon at SISalud Clinic Maiz, Venezuela, South America. 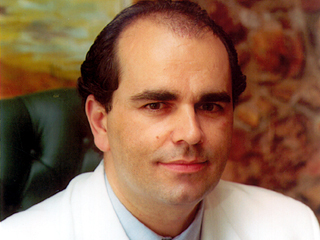 He studied medicine in the Central University of Venezuela, Plastic and Reconstructive Surgery at Dr. Domingo Luciani Hospital, IVSS, Caracas, Venezuela and After graduating he was appointed as Physician Assistant at the Plastic Surgery Service, working mainly in the areas of Teaching, Burns, Reconstructive and Maxillofacial Surgery. He did III International Master Degree in Microsurgical Reconstruction, Autonomous University of Barcelona, Spain. 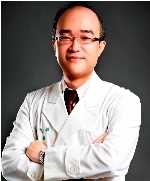 He specialized in Cosmetic Surgery and Aesthetic Medicine. Dr. Mucio Porto is currently an Invited-Professor at College of Medicine of the Catholic University of Brasilia and also and Lecturer at American Academy of Aesthetic Medicine. He is also owner of Plastic Surgery Clinic Mucio Porto, Brazil. He did Plastic Surgery course under the supervision of Prof. Ivo Pitanguy at Pontificial Catholic University of Rio de Janeiro, Brazil. He had done his Masters in Aging Studies at Catholic University of Brasilia. 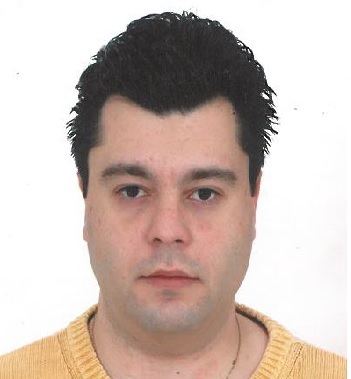 Dr. Constantinos Demetriou is Dermatologist at Dermatology and Venereology Laser Centre, Nicosia, Cyprus (Europe). Dr. Constantinos Demetriou was a Founding Member and First Secretary of Cyprus Society of Dermatology (1986). He also served as President of Cyprus Society of Dermatology, elected in office for 5 consecutive terms (1998-2008). He received his training and Ph.D. at the Athens’s Dermatology and Venereology University Clinic in 1980. He is Member of the American Academy of Dermatology and ex Member the Board of the European Academy of Dermatology and Venereology. He is a Researcher, International Lecturer, Conference organizer and has presented his work in many International Conferences and Journals. Currently, he is working in Private Medicine and owns three Laser Centers in Cyprus. Dr. Dimitrios Karypidis is currently serving as an On-Term lecturer at the Department of Plastic Surgery in the University of Athens, Greece and an Honorary Tutor at the University of Cardiff, UK. Plastic Surgeon, Director at Surgery of Aesthetic and Reconstructive Treatments, (Private Company). He had the great opportunity to work at the Microsurgery Research Center, Eastern Virginia Medical School in Norfolk, where he was able to obtain significant Clinical Research experience in the treatment of Facial and Brachial Plexus Paralysis, Upper Limb and Peripheral Nerve Reconstructive Microsurgery through the rigorous Clinical Research program in the Center which led to the publication of several papers on Facial Reanimation and Reconstructive Microsurgery. Dr. Dimitrios’s training continued in the University of Rome, Italy, in Breast Reconstructive Microsurgery and improved his understanding of complex Oncoplastic Surgery and Breast Cancer Treatment. His Clinical Practice and research was carried in the Plastic Surgery Department at the University of Athens on General Plastic Surgery, Soft Tissue/Skin Oncoplastic Surgery, Skin Graft Transplantation, Aesthetic Plastic Surgery and Laser Applications. Dr. Dimitrios’s previous studies in wound healing and Tissue Repair at Cardiff University, UK helped him develop his academic skills in Research Methodology, critical analysis and gained significant experience in Wound Healing. His studies also included the treatment of Chronic Ulcer, Scar Formation, Acute Wounds and Tissue Defects Repair. Dr. Constantin Caruntu is a Dermatologist at the Institute of Diabetes Nutrition and Metabolic Diseases, Bucharest since 2008, and Assistant Professor at “Carol Davila” University of Medicine and Pharmacy, Bucharest since 2004. He was a researcher in the Center for Excellence in Neuroscience at “Carol Davila” University of Medicine and Pharmacy, Bucharest and completed his Dermatology and Venereology Residency at “Carol Davila” Central Military Hospital, Bucharest. He was trained in Cellular and Molecular-Biology Techniques (Bucharest, Romania 2003), in vivo Confocal Laser Scanning Microscopy (Modena, Italy 2009 and Bucharest, Romania 2010) and Molecular Imaging Techniques (Bucharest, Romania 2011). He is a Member of International Dermoscopy Society; Romanian Society of Dermatology; International Union of Physiological Sciences; Federation of European Neuroscience Societies, and many other National or International Scientific Societies. Assoc. 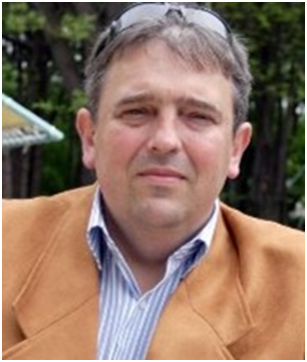 Prof.Ilko Bakardzhiev, MD, PhD graduated medicine in 1994 at the Varna University of Medicine. Later he specialized at the Clinic of Dermatology and Venereology in Varna and in Sofia under the guidance of Prof. Nevena Berova. His training took him further to Germany, Malta, Spain, France and Italy. His PhD is on sexually transmitted diseases. He isconsultant dermatologist andauthor of several inventions and an impressive number of articles in Bulgarian and international dermatology publications(International Journal of Dermatology, JEADV, Medicine (Baltimore), Dermatologic Therapy,JBRHA, etc). An active member of many professional societies: Bulgarian Dermatology Society, Union of Scientists in Bulgaria, Balkan Association for Philosophy and History of Medicine, International Dermoscopy Society, International Soceity of Dermatology. Dr.Bakardziev is the key organizer of one of the biggest dermatology forums in Bulgaria – “Varna Spring Dermatology Days”. You can find him teaching Dermatology at the Medical College of Varna , University of Medicine”Prof. 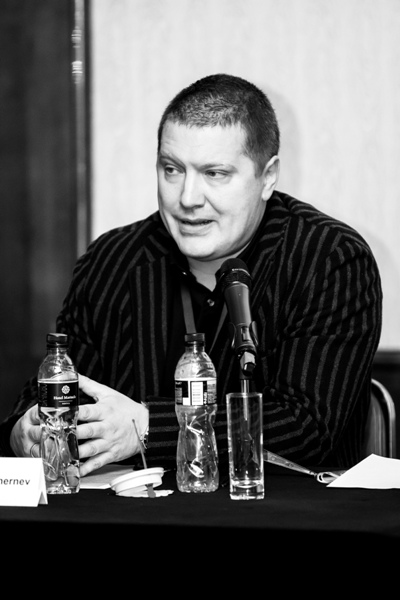 Dr. Paraskev Stoyanov”.Assoc. 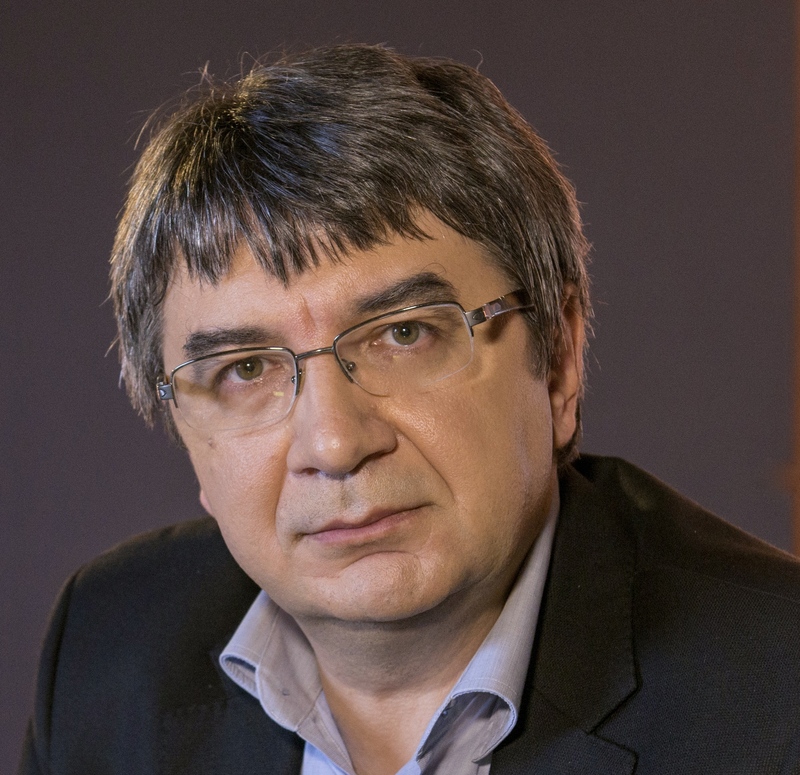 Prof.Ilko Bakardzhiev, MD, PhD graduated medicine in 1994 at the Varna University of Medicine. Later he specialized at the Clinic of Dermatology and Venereology in Varna and in Sofia under the guidance of Prof. Nevena Berova. His training took him further to Germany, Malta, Spain, France and Italy. His PhD is on sexually transmitted diseases. 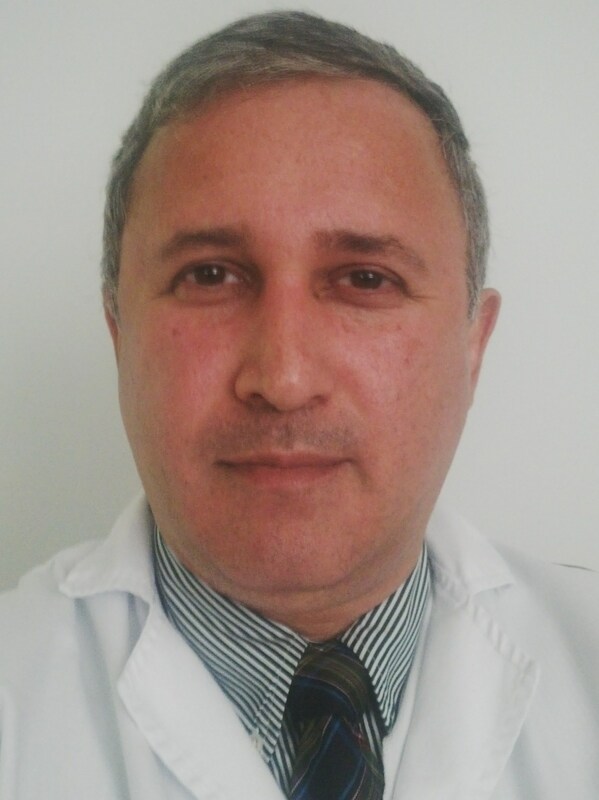 He isconsultant dermatologist andauthor of several inventions and an impressive number of articles in Bulgarian and international dermatology publications(International Journal of Dermatology, JEADV, Medicine (Baltimore), Dermatologic Therapy,JBRHA, etc). An active member of many professional societies: Bulgarian Dermatology Society, Union of Scientists in Bulgaria, Balkan Association for Philosophy and History of Medicine, International Dermoscopy Society, International Soceity of Dermatology. Dr.Bakardziev is the key organizer of one of the biggest dermatology forums in Bulgaria – “Varna Spring Dermatology Days”. You can find him teaching Dermatology at the Medical College of Varna , University of Medicine”Prof. Dr. Paraskev Stoyanov”. Prof. Wollina has studied medicine at the Friedrich-Schiller-University of Jena, Germany. He started his research in the Department of Dermatology and Venerology and the Department of Biochemistry. He was in Palermo, Italy, Passo Fundo, Brazil, and Cologne, Germany, for research Projects. His major focus is clinical dermatology with dermatosurgery, hidradenitis suppurativa, chronic wounds, and oncology. He has also interests in esthetic medicine. 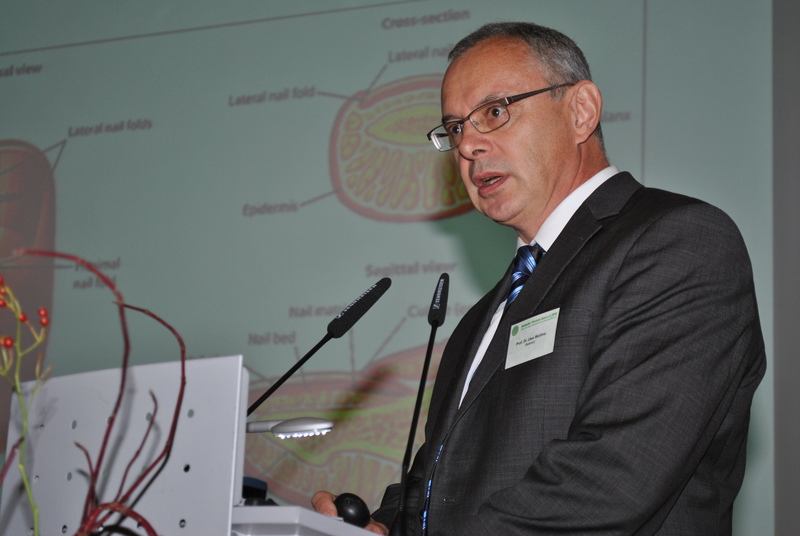 He has been elected as President of the Saxonian Society of Dermatology. 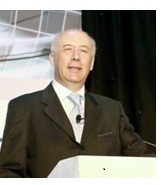 He is Past President of the European Academy of Cosmetic and Aesthetic dermatology. Prof. Wollina has been enaged for years in the International Sciety of Dermatology, where he was one of the Directors of ISD, Chair of Regional Officers etc. He was granted by the International League of Dermatological Societies in 2014. He has written 8 books and almost 700 PUBMED listed scientific papers. He also works as Editor in Chief, Borad member and Reviewer for various internatiuonal prestigious medical journals. 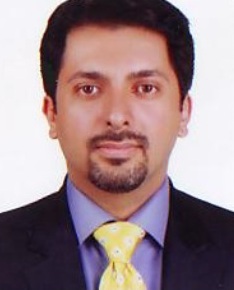 Dr Abbas Amini is currently an assistant professor at ACK andWestern Sydney University, Australia. After obtaining PhD from the Hong Kong University of Science and Technology (ranked 17th in Engineering among the universities worldwide), he conducted research with Australian universities, as a postdoctoral research fellow at Monash and Deakin Universities, and as a senior research fellow at the University of Melbourne. His fine outcomes have been presented in high impact factor journals, e.g., Nature publication group, and a recent published book in 2016. 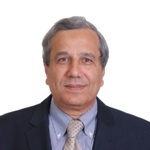 Abbas is the editor of more than 20 reputed journals, and served as thechair/committee member of more than 120 international conferences to date. Omeed Memar, MD, PhD completed a combined degree from the University of Texas. His dissertation was on induction of autoimmune disease and the mechanisms that underlie it. He completed a residency training in dermatology at the University of Illinois at Chicago. He has researched the basic science of autoimmunity, carcinogenesis, and clinical rejuvenation. His practice of medicine has focused on treating patients with the presentations of aging and dysregulation of aging into cancer formation, inflammation and inability to fight infection. He resides in Chicago, Illinois.